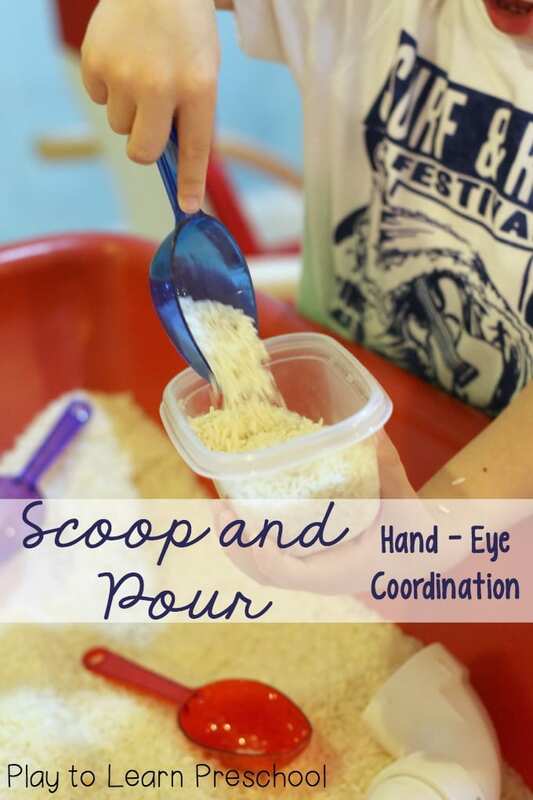 Hand Eye Coordination is such an important skill for our preschoolers. It affects their ability to build a block structure, throw and catch a ball, and even pick up a book and turn the pages. 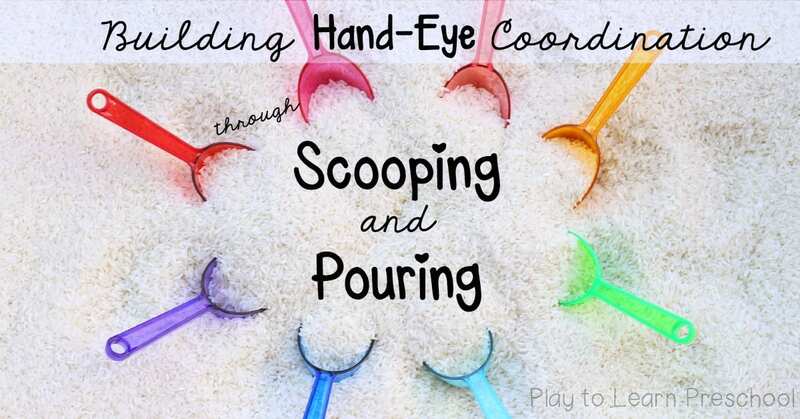 Practicing coordination can be so simple and fun with this simple rice bin sensory table invitation to scoop and pour. 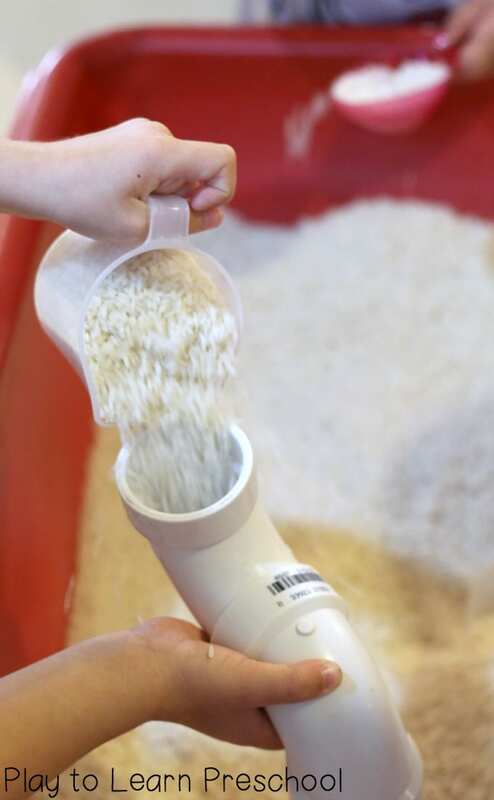 To begin, the students explore the rice with their hands and with the scoopers. They poured it into little containers and then poured it out onto each others’ hands. 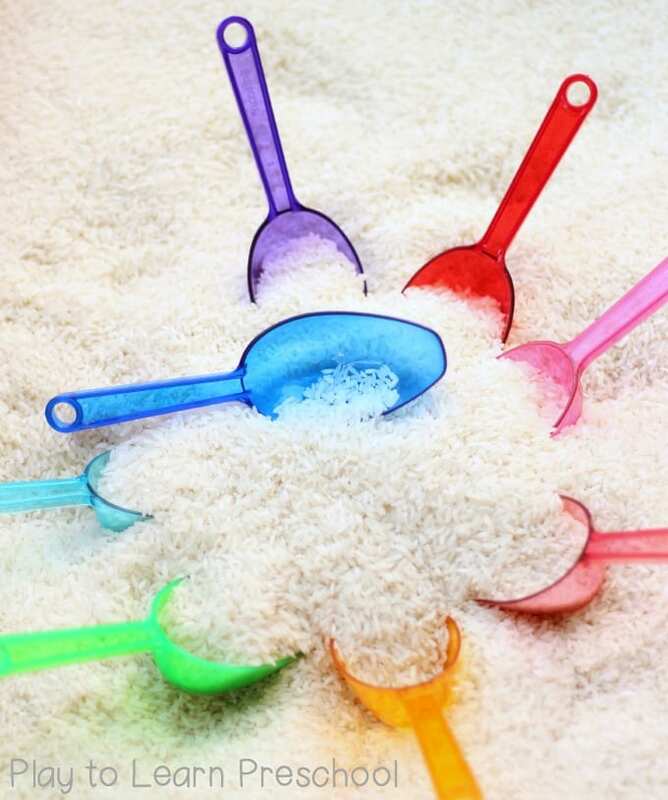 They buried their hands in the rice and spent time discovering the way that it feels. 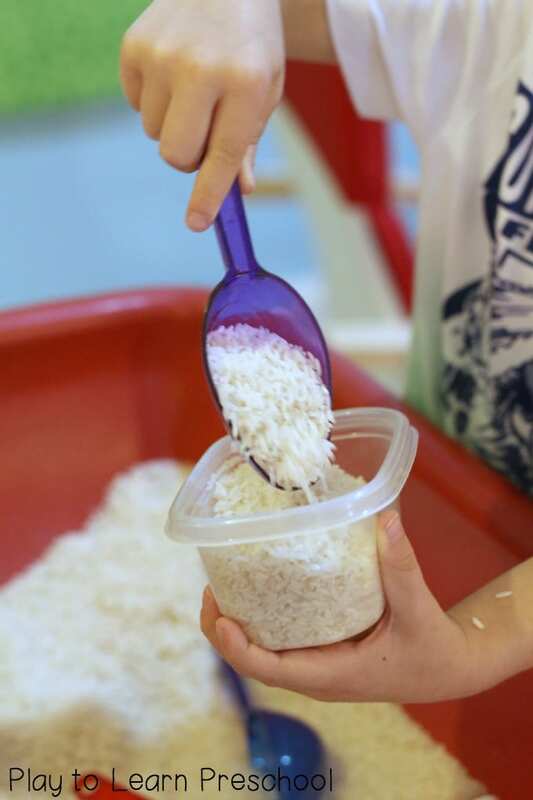 This student used 2 scoopers and a coordinated movement to pile the rice into a bowl. 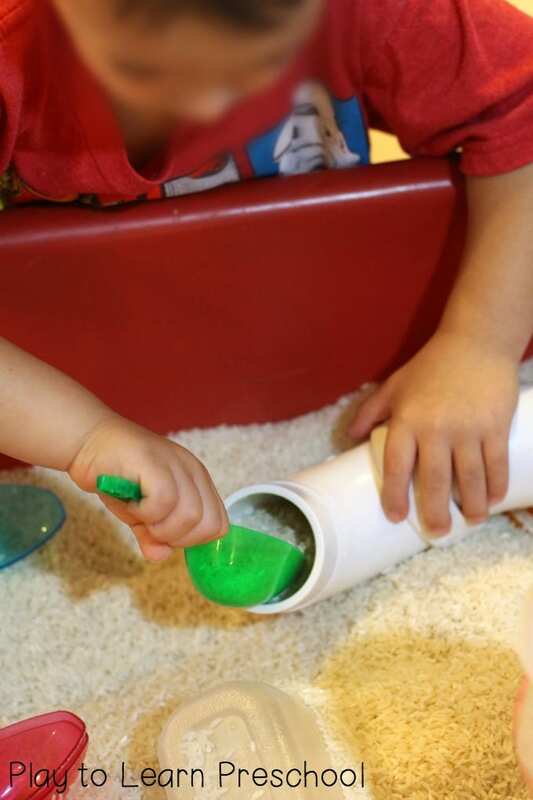 We like to keep the “base” of our sensory table (rice, chick peas, lentils, noodles, snow, etc.) the same for a few weeks. 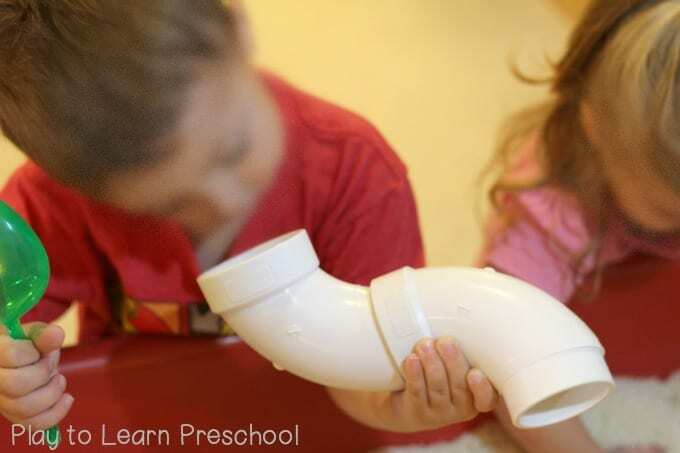 The students tend to lost interest (read: they ignore it or start to throw it around the room for fun) after a week, so we add in different accessories to extend their play. In this case, after a week we added pieces of pvc pipe from the hardware store. The students put the pieces together to make different shapes. Then they used measuring cups to scoop and pour the rice into the pipes. 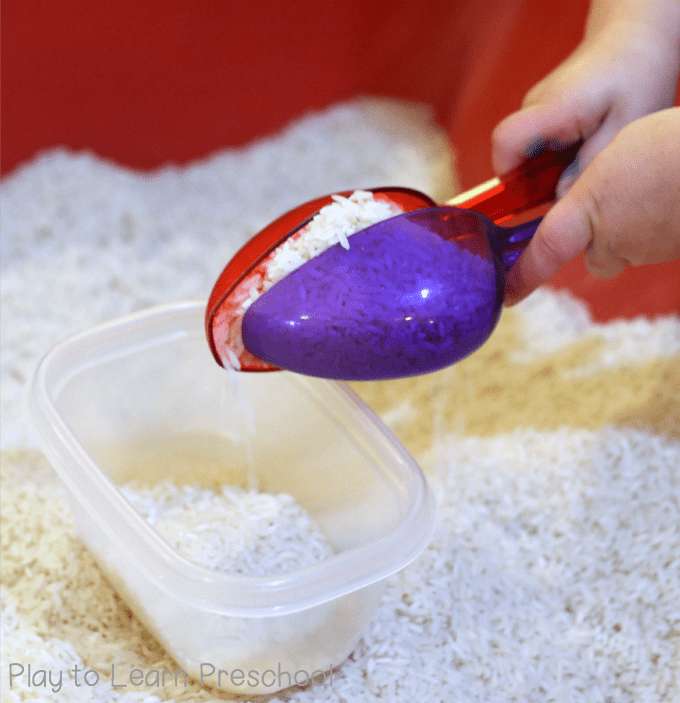 It takes good hand-eye coordination to hold the pipes, scoop the rice and pour it accurately into the tubes. Our younger students were so interested to see what happened to the rice after they poured it into the pipes. They scooped, poured and observed it over and over again. Stay tuned to see what we add next!